Want to contact a Minister or opposition spokesperson, ie Shadow Minister, but unsure who the correct person is? Download a PDF of Ministers and Shadow Ministers to find the Minister or Shadow Minister responsible for the issue you are concerned about. 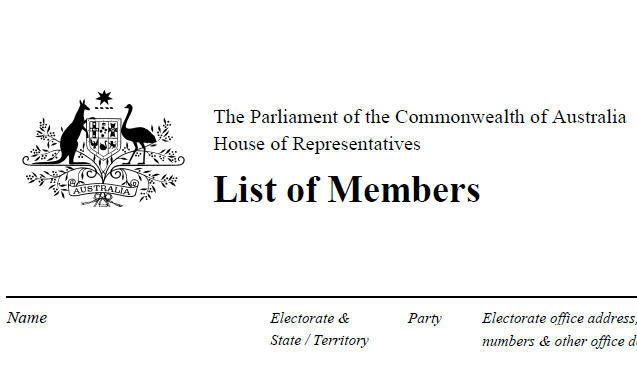 Go to the Find an MP or Senator page to look up their contact details.